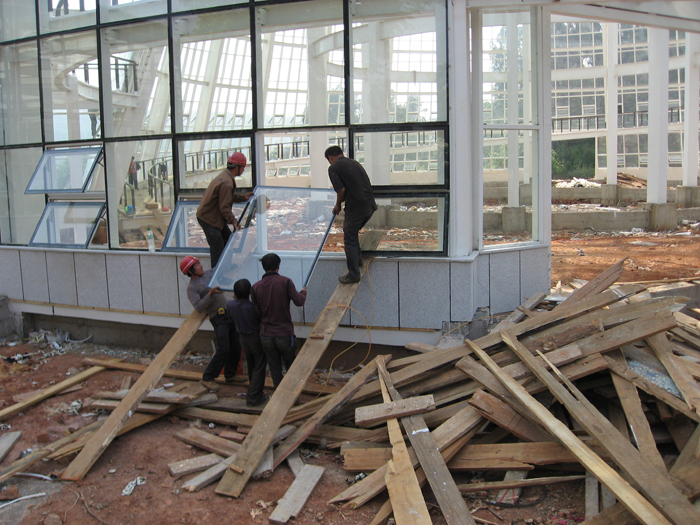 This week saw an important step forward in the redevelopment of the glasshouse department within Kunming Botanical Garden. For almost one year now, the glasshouses have been hidden behind a construction barrier and it has been possible for staff and visitors to catch only a glimpse of the work being undertaken in the renovation of this area. 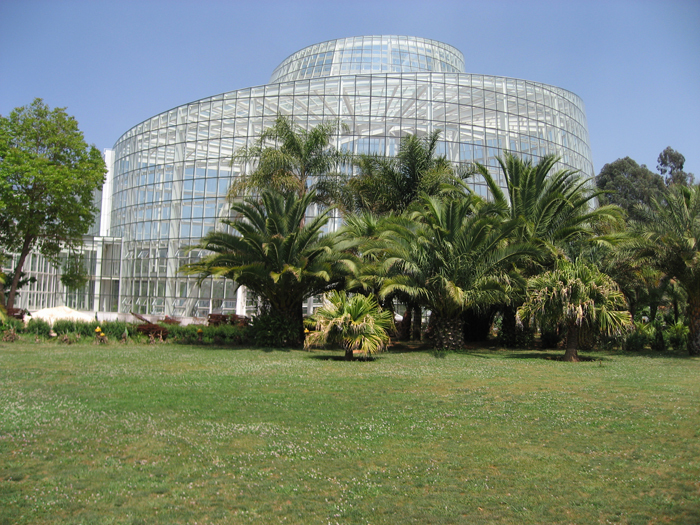 The largest and central glasshouse within the area is a complex structure and the installation of safety glass has been a major undertaking. The total number of glass panes exceeds 7,000 with over 2,000 different sizes and shapes of individual pane. On Wednesday 25th April, the final pane of glass was installed. Plans are well underway in preparation for the construction of exciting and dynamic landscapes within the newly renovated structures and, thereafter, the surrounding areas will also be subject to major landscape improvements. There is still much work to be done, but completing the envelope of the largest glasshouse is a significant step forward in this exciting project.